Wilberto Robles B.S. MCC is a global regulatory expert with over eighteen years of experience in the pharmaceutical, medical device and cosmetic industries. His previous experience includes positions at APP Pharmaceuticals, Blu Pharmaceuticals and Wyeth. There, he developed his professional experience in Regulatory Affairs, and held different leadership positions supporting International Registrations, Quality Assurance, Process/ Equipment Validations, and Project Management. He is currently working at WCG Cares as the Senior Director, Global Regulatory Affairs and Quality Assurance, in which he expanded his scope and manage the registrations of reproductive health drug products and medical devices in Africa, Asia, EU, Latin America and US. 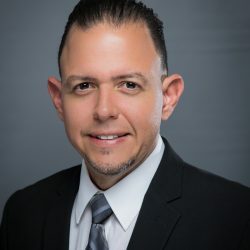 Mr. Robles has publications in the TOPRA International Journal for Professionals in Regulatory Affairs (Regulatory Rapporteur) and the POLITECHNÊ journal and SHPE (The Official Magazine of the Society of Hispanic Professional Engineers). He is an active member of the Regulatory Affairs Professionals Society (RAPS), and The Organization for Professionals in Regulatory Affairs (TOPRA).